I made these traditional mooncakes two years ago with a 63g mooncake mold. I’m posting this again with the ingredients for a 75g mold. Please plan ahead of time as (i) the paste needs to be made and refrigerated (or you can buy the paste from a store), and (ii) the skin normally needs to rest for 2 days after baking to get the best texture, called “回油” in Chinese. If you have a sweet tooth, you may want to increase the sugar amount as my recipe is a healthier version – less sugar and less oil. 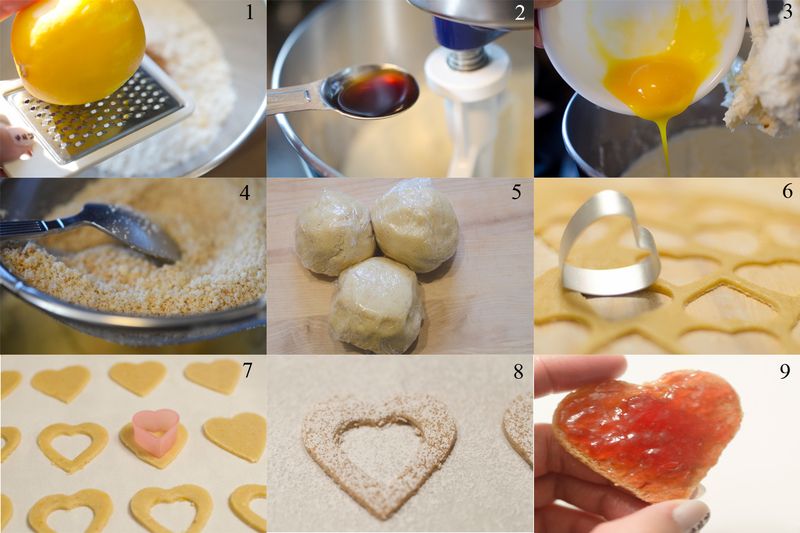 Directions for making the lotus paste are in my previous mooncake recipe here. Mix salted egg yolks with wine. Wipe dry the yolks with kitchen paper after a few minutes. Cut each into two halves. Set aside. (Note: if you don’t want to use cooking wine, you can use salt water to rinse the egg yolks to remove the excess egg whites). Add flour into the syrup mixture and combine well. Gently knead the dough till smooth (takes 1~2 mins). Shape it into a round ball and wrap with cling wrap. Leave it in the fridge to rest for at least 2 hours or overnight. Take a lotus paste ball and poke a hole in the middle with your finger. Place egg yolk inside. (Picture 4). Line the baking sheet with parchment paper and place mooncakes on top. Position the rack in the upper third of the oven and bake for 10 mins. Remove from oven and leave to cool for 15mins (Note: this step helps stabilizing the pattern on top). After baking, the skin doesn’t have the shiny look (picture 12). Leave mooncakes to cool completely and store in air tight containers. Wait for 2 days before serving, the skin will become soft and shiny, called “回油” in Chinese. This is the clear pattern before baking. I ordered this customized mooncake mold in Hong Kong. The disk can be removed for easy cleaning. I personally do not like anything bigger than 75g or smaller than 63g. However, you may like the 100g as it’s easier to work with. I also bought these containers and bags in Hong Kong. They look nice and neat when giving them as a gift. Once you have a good handle on macarons technique, you can make different flavors. Now these pistachio macarons are my favorite. I added green food coloring to the macarons for my pictures, but the natural hue color is always healthier. Choosing the right macaron fillings is important, my suggestion is to have the not-so-sweet fillings since the macaron shells are quite sweet. For the pistachio macarons, I made the buttercream filling with pistachios which goes very well with the cookies. Pistachio flour could be hard to find depending on where you live, when I spot the unshelled pistachios at Whole Foods (it’s pricey $29.99 per pound), I bought some and ground them myself with a food processor. The extra pistachio flour can be used to make pistachio paste. Below are the recipes for the pistachio macarons, pistachio buttercream filling and pistachio paste. Hope you will get a chance to make these. Add the food coloring and mix until well blended. Remove the whisk. (Pictures 7 and 8). If you want to sprinkle nuts on top, do it now so that they will stick to the top of the shells. 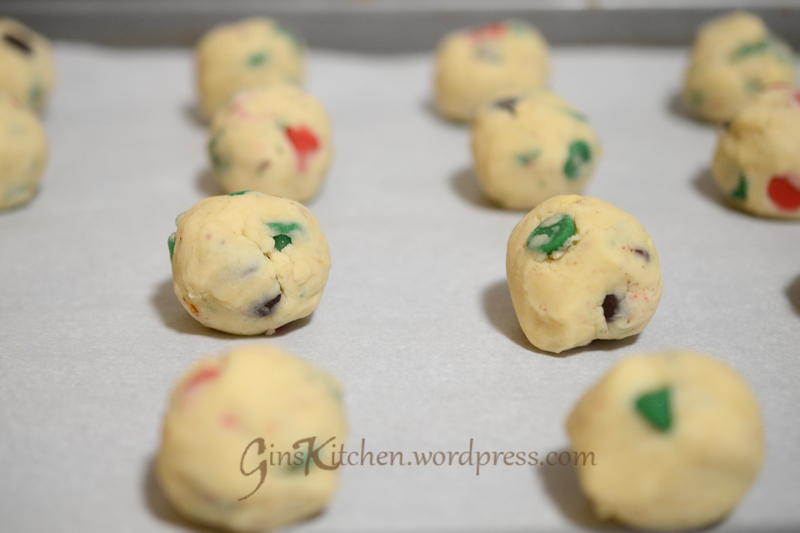 Allow the cookies to rest on a level surface for 30-60 minutes. Until they are no longer tacky to a light touch. Preheat your oven to 300F and bake the macarons for 16-20 minutes. Use a piping bag to pipe your favorite filling to one side of the macaron and top with another half of macaron to form a sandwich. I was asked to make these cookies for my son’s Easter party at school. It took me 5 hours to make 32 cookies but it was quite fun to decorate them. I chose to use fondant for decoration as the results are beautiful. Please refer to my Fondant Cake with Strawberry Filling post for the marshallow fondant recipe. Happy Easter!! Preheat oven to 350°F. Beat butter and sugar at medium speed with an electric mixer until fluffy. Add egg and vanilla extract, beat until blended. Combine flour and salt, gradually add to butter mixture, beat until just blended, don’t over mix it. 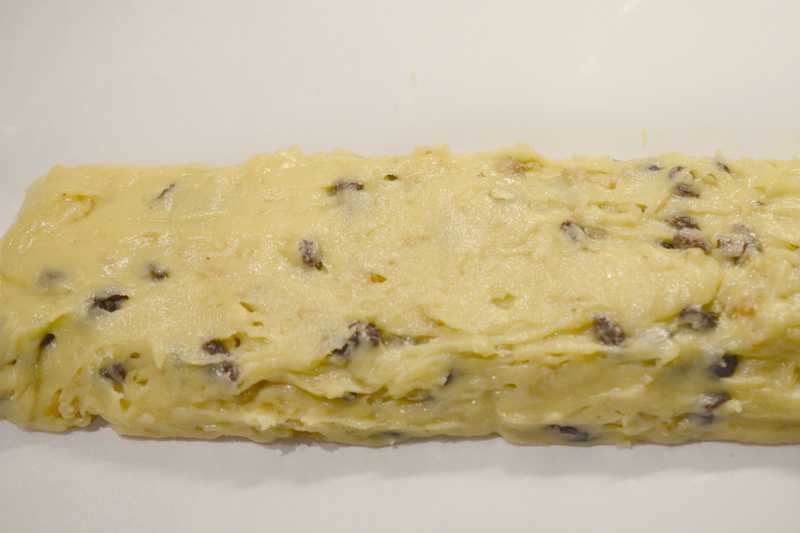 Divide dough into 2 equal portions. Cover and chill for 30 minutes or longer. Place 1 portion of dough on a lightly floured surface, and roll to 1/8-inch thickness. 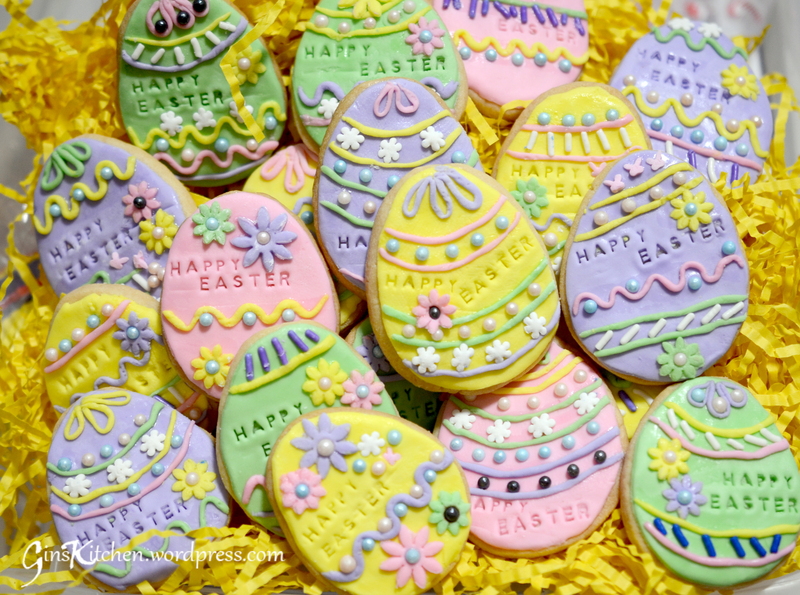 Cut with a cookie cutter (I did not have an easter egg cookie cutter, so I cut the dough with a round cookie cutter and shape cookies into an egg shape). Place cookies on a parchment-lined baking sheet. Freeze shaped cookies for 10 minutes before baking. Bake at 350°F for 20 minutes or until edges are lightly browned. Cool cookies on wire racks. Roll out fondant and decorate your cookies after they are completely cool. 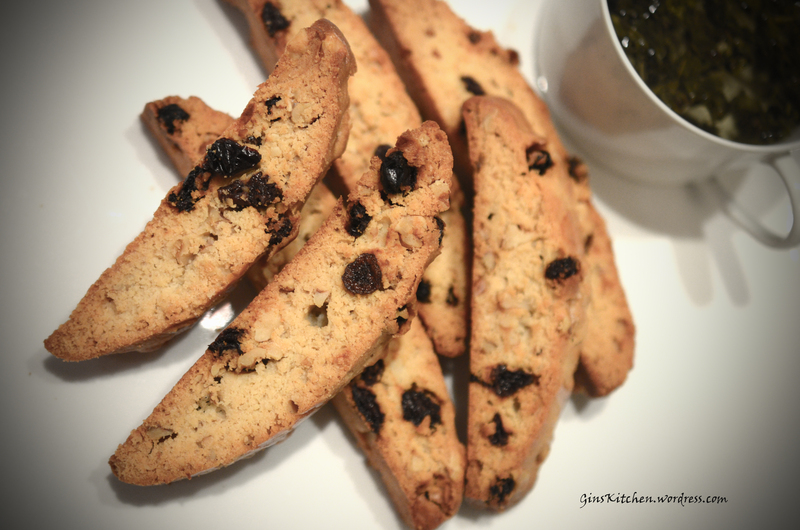 Biscotti is Italian and literally means twice baked, this is how you get their dry, crisp texture. 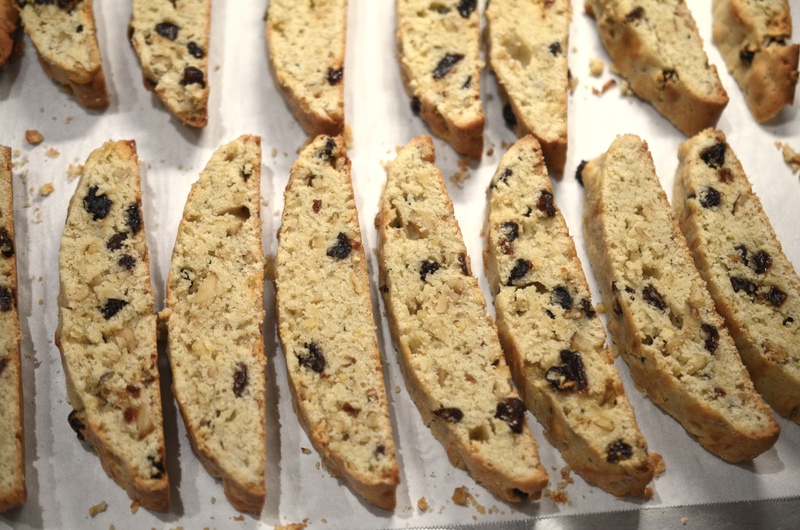 Biscotti is traditionally served with a cup of coffee or tea. Some people like dipping it into hot chocolate, no matter how you like to eat them, they can be found in all sorts of flavors. 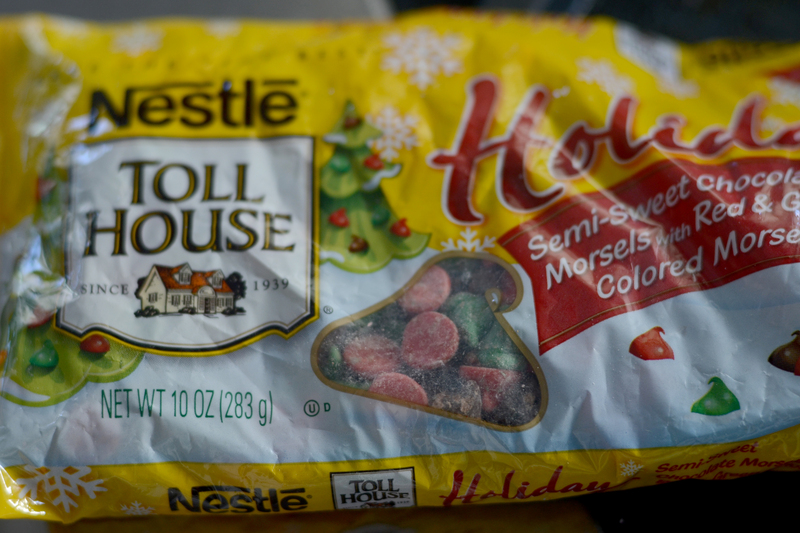 Beat melted butter, sugar, eggs and vanilla in a large mixer bowl. Combine flour, baking powder and salt, stir until just combined. 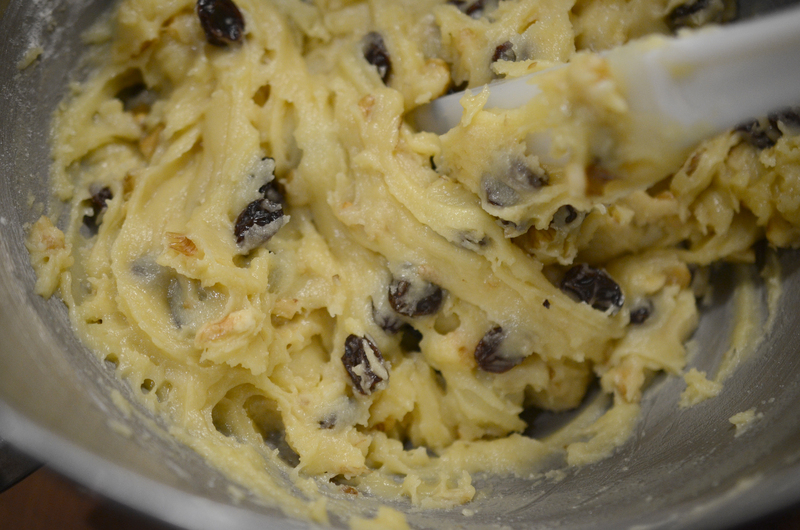 Add in walnuts and raisins, stir well to combine. Form mixture into a log or divide mixture into two smaller logs. Place on a lined baking tray and brush with egg white. Bake in the oven for 20-30 minutes or until light golden. Remove from the oven and allow to cool for about 15 minutes. Place the log on the cutting board, using a sharp knife, cut the log on a diagonal into 1/2-inch thick slices. Arrange the biscotti, cut side down, on the baking sheet. Return biscotti to the oven and bake until they are golden brown, about 15 minutes. Transfer the biscotti to a rack and cool completely. 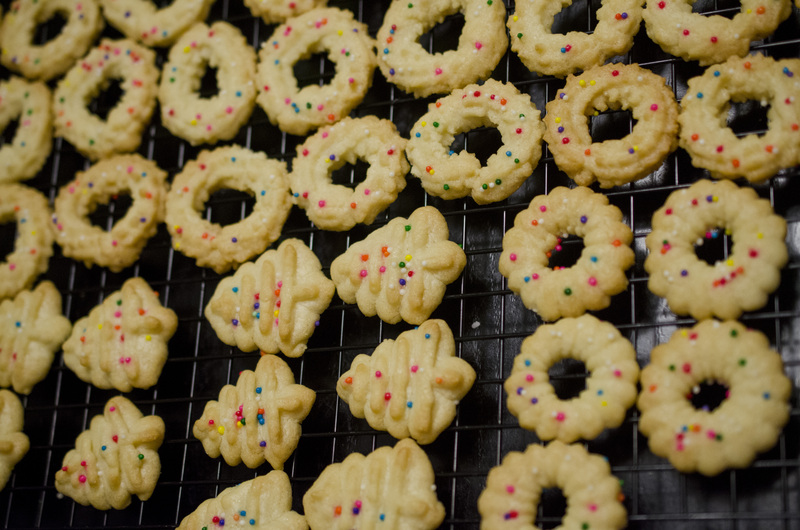 These Norwegian cookies are typically made with a cookie press. The cookie press comes with a variety of discs to make various shapes of cookies and children love to help make them. 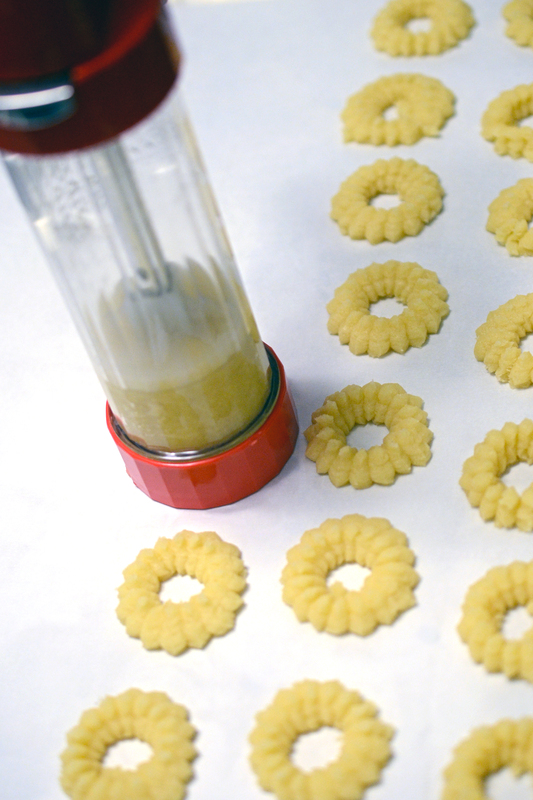 Spritz are crisp, fragile and buttery tasting, great for Christmas goodies. Your Christmas holiday cookie plate won’t be complete without these cookies! Preheat oven to 350◦F . Beat together butter, sugar and extracts in a large mixing bowl at moderately high speed until pale and fluffy, about 3 minutes. Add egg and beat well. Add flour mixture and mix at low speed until just combined. Freeze shaped cookies in the freezer for about 10 minutes before baking. Bake cookies in batches in middle of oven until edges are golden, 10 to 15 minutes, then transfer to racks to cool. 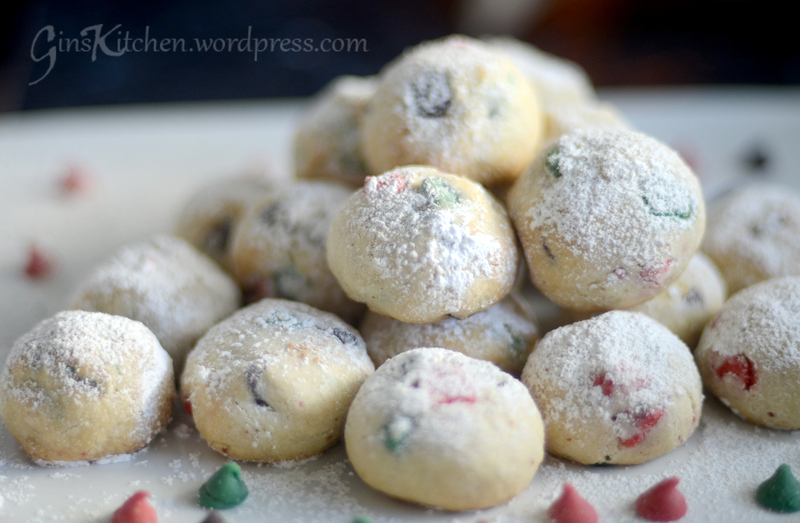 I added sprinkles to make the cookies more festive. 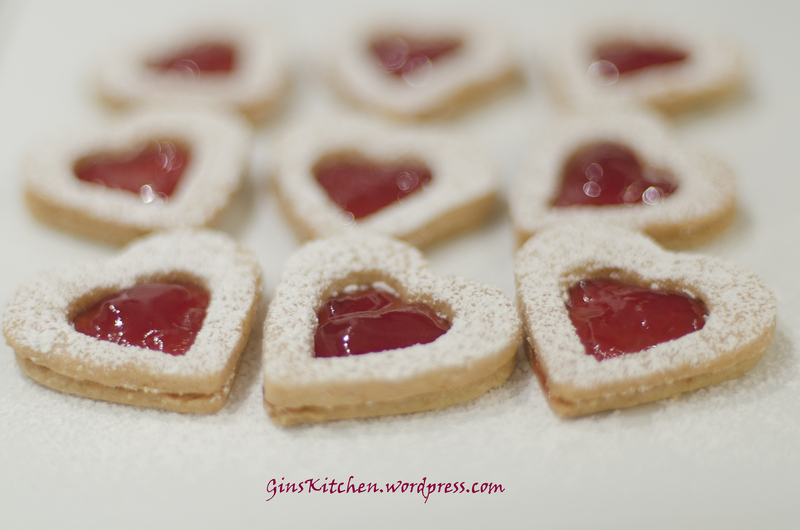 If you don’t have a cookie press, you can flatten dough to 1/3 to ½ inch thick and cut with a cookie cutter. 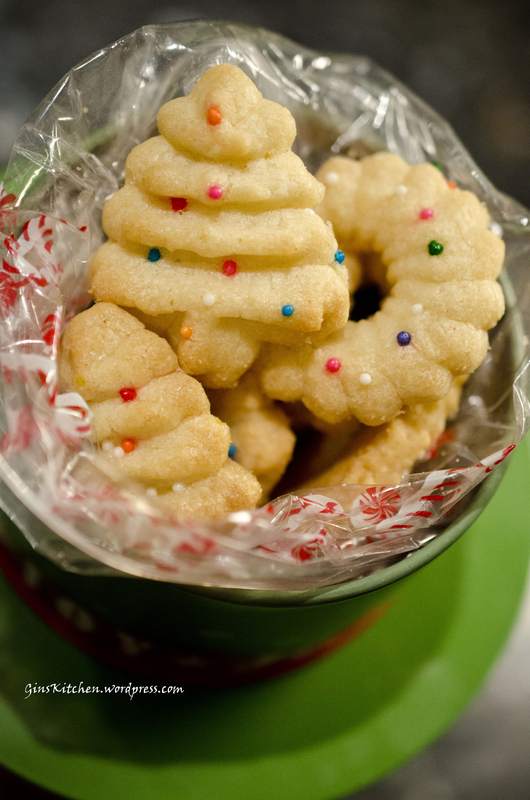 Cookies can be kept in an airtight container at room temperature up to 3 weeks.